Well I commemorated Thanksgiving with an American brew so I could hardly let Black Friday pass without beer! 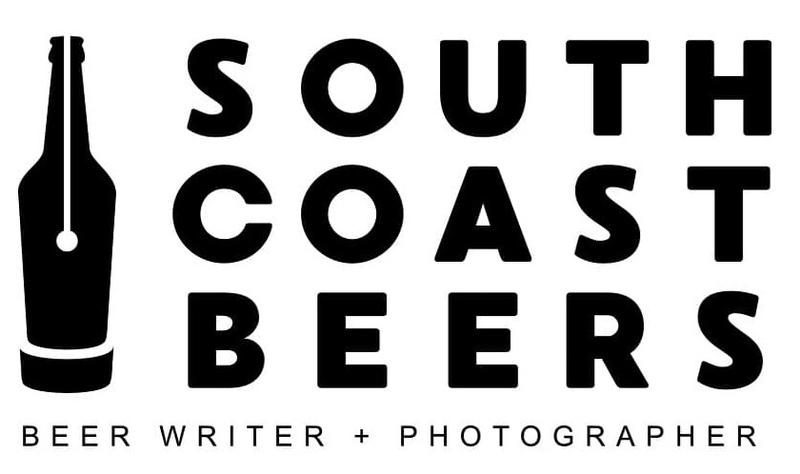 So welcome to South Coast Barbells and Beer's "Black Fr-IPA-day!" I've got a lot of time for Northern Monk at the moment, especially Double Heathen which was very good. Dark Arches is their Black IPA, a style which I've only started enjoying in the last few months. 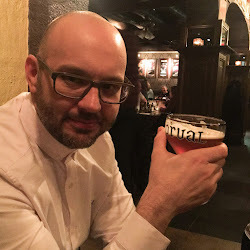 It's part of Northern Monk's seasonal range and they describe it as having "the colour of a rich porter but the punch of hops associated with an IPA." It pours jet black, with a very pale brown head that does a decent job of hanging around. If you didn't smell or taste it, it definitely looks like a porter. But the second you move your nose towards it the hops are unmistakable. 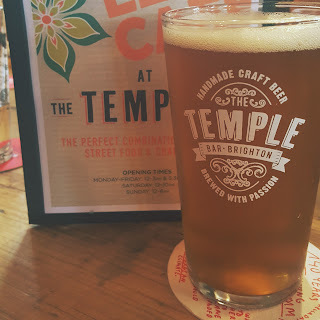 It has a citrusy grapefruit aroma with hints of pine that scream IPA. It has a medium body with a nice level of carbonation, giving it a lovely mouth feel. The taste is great, with the pine and citrus in the nose still evident, along with some roasted malts, a slight smokiness and then a slightly bitter finish. Dark Arches is one of the better Black IPAs and, despite the relatively high ABV of 6.7%, is very easy drinking. Northern Monk have done it again! Yes it's another coffee stout.... well shoot me! I can't help it that it's become one of my favourite styles of beer! Spresso Stout is a seasonal collaboration between Beavertown and Caravan Coffee Roasters, both of London. According to the Beavertown website, over 40kg of roasted coffee beans goes into each brew of Spresso. That coffee is very evident in the nose; in fact of all of the coffee stouts I've had this year, Spresso is probably the one with the strongest coffee aroma. It's almost like putting your head into a glass of cold brew coffee, rather than beer. There's also some vanilla and brown sugar swirling around in the mix. It looks lovely in the glass, thick and black with a mocha coloured head. As expected from a beer called Spresso, the coffee flavour is bold and powerful, but rounded off beautifully by the vanilla that follows through from the nose. Then the finish becomes slightly bitter, with the thick unctuous consistency ensuring that the flavours hang around for a while. Spresso is a cracking coffee stout and is great drinking on a cold winters afternoon. It was way back in 1988 when Public Enemy first implored us not to believe the hype; well if they were talking about Yellow Belly they were very wrong. I first heard about Yellow Belly in early October. I had just posted a review of a peanut butter stout that had failed to live up to my expectation and Instagram user formerginge1 mentioned that he hoped to see some Yellow Belly around soon. I'd never seen, tasted or heard of this Yellow Belly! Unfortunately I soon discovered that whilst it had a great reputation, it was seasonal and there were no bottles to be found. 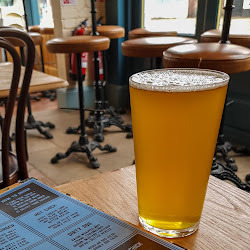 Then around ten days ago Buxton announced that it was back and scheduled for initial release from the Buxton Tap House. I frantically searched for friends or family who might be able to pick me up some bottles and got very lucky when a mate revealed that he would be in Buxton last weekend. So off he went with my shopping list in hand and happily, he was successful! Based in the heart of the Peak District, Buxton are a hugely popular brewery with a great reputation. I've liked everything I've had from them so far, especially the Guatemalan Coffee Extra Porter. Their collaborators here, Omnipollo, are one of the hottest European breweries around at the moment. Based out of Stockholm, they work with breweries around the globe to bring their recipes to life. 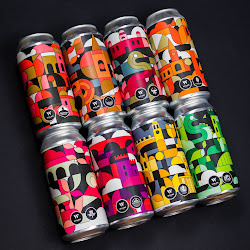 Priding themselves on unusual taste combinations, Omnipollo's list of flavours across their eclectic range reads like a stockroom from Willy Wonka's factory. Yellow Belly is a peanut butter biscuit stout that Omnipollo and Buxton say is designed to be open minded and progressive. The symbolism in the packaging is completely deliberate; the name Yellow Belly being used as a metaphor for the cowardly nature of racism and prejudice. Deep stuff. 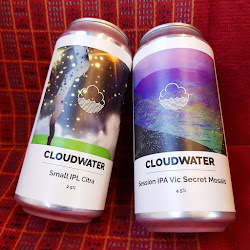 Well I'm not going to get into a socio-political commentary on this blog, but I have no problem with breweries using their products to spread a message, especially one as important as battling prejudice. In the glass it appears jet black, with a small caramel head which does not last long. The aroma is amazing, full of biscuit sweetness reminiscent of a jar of Biscoff Spread, along with peanut butter, vanilla, toffee and a hint of dark chocolate. It has a smooth, creamy luxurious mouth feel. The flavour is immense. 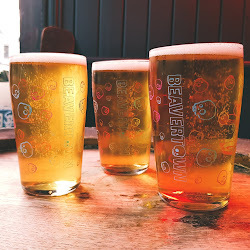 The biscuit follows through from the nose, there is an element of natural tasting peanut butter, then it all smooths away into a satisfying boozy bitterness. It is an incredibly enjoyable mouthful of beer which, whilst being incredibly well balanced, packs one hell of a punch. Sometimes these limited edition seasonal beers generate so much buzz that the drink itself can never live up to the expectation. Yellow Belly is not that beer. I'll cherish and savour the bottles I have left and will count the weeks until it's with us again. Believe the hype. 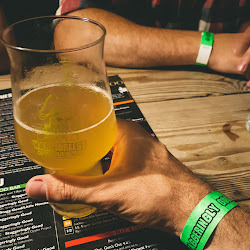 So the third and final instalment in my group review of fruity British IPAs and DIPAs brings us to Beavertown's Bloody Notorious. This Blood Orange DIPA is brewed in conjunction with Boneyard Beer from Oregon in the USA and it's another can full of refreshing wonderment. In the glass it is a beautiful light golden colour, with a small white head which does a decent job at sticking around. The nose is just as good, with the sweet orange juice aroma dominating and just a hint of hops bubbling away beneath. Bloody Notorious has a brilliant balance to it's flavour, starting from sweet summertime fresh orange juice through to a lovely citrus bitter finish. It's incredibly easy drinking and tastes a fraction of its 9.1% ABV. This is another top beer and an example of what Britain's best breweries can do. Click the following to see my reviews of Northern Monk's Double Heathen and Fourpure's Juice Box. 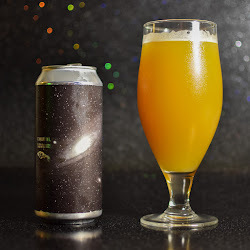 So following on from yesterday's review of the amazing Double Heathen by Northern Monk, the second instalment in my fruity DIPA/IPA trifecta is Juice Box by Fourpure. 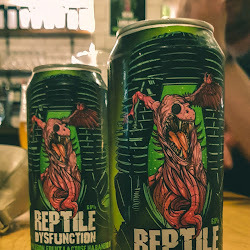 This is a beer that I've been looking to try for a while and comes with a pretty big reputation. After drinking it I'd say that the reputation is well deserved. 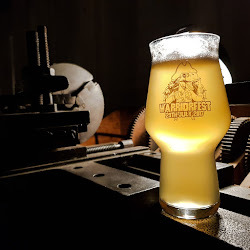 It's very attractive in the glass, with a slight haze to the golden colour and a small white head. It's nose is an absolute fruit salad, with mango, grapefruit, tangerine and orange tingling your scent glands. It has a smooth light body with a pleasing level of carbonation. On tasting it's lighter than Double Heathen, with the initial hit of sweet fruit fading quickly, leaving you with a grapefruit pithiness and bitter orange that gives it a lovely refreshing feel. In terms of flavour and balance it reminded me a little of Brewdog's Elvis Juice; it has that sort of pithy tartness. Juicebox isn't as spectacular as Double Heathen, but then not many beers this year have been. But, even at 5.9%, Juicebox is incredibly easy drinking and next summer I have no doubt that it will be a permanent fixture in my fridge.